All time world musical sweetheart Julie Andrews visits Melbourne and 2000 adoring fans have one less item on their bucket list. Goodwill ambassador, children’s book author, flying nanny and singing nun, Andrews had the capacity audience in her delicate palm as she held court at Hamer Hall, regaling the crowd with sentimental, intimate and cheeky tales from her illustrious career. Andrews was introduced by Nicholas Hammond, portrayer of elder von Trapp son Friedrich. Entering to an extended ovation, and looking tres elegant in glittering silver pant suit, Andrews started at the very beginning, charting her rapid rise as a prodigious child soprano with a four octave range. Performing with her mother and stepfather, Andrews learnt the biz in vaudeville, picking up skills and experience that would be invaluable in Mary Poppins and beyond. Speaking from a rather formal lectern, Andrews framed her reminiscences around the theme of the role travel has played in her career, and also signposted her rise to fame around three significant developments. The first of these was the opening night Hippodrome crowd’s extraordinary reaction to the coloratura fireworks of her operatic aria. A year in Broadway’s 1954 smash The Boy Friend was Andrew’s second big break, with the one year contract she negotiated proving incredibly fortuitous in freeing her for the stage role of a lifetime as the original Eliza in My Fair Lady. Soon Walt Disney beckoned and Andrews and husband Tony Walton were off to Hollywood for Mary Poppins. Tales of the Poppins days included a surprise call from author PL Travers the day after daughter Emma Walton’s birth, visits to the racetrack and Disneyland with Disney, and a terrifying drop in a harness on the final day of Poppins filming (the rig operator was never seen again). 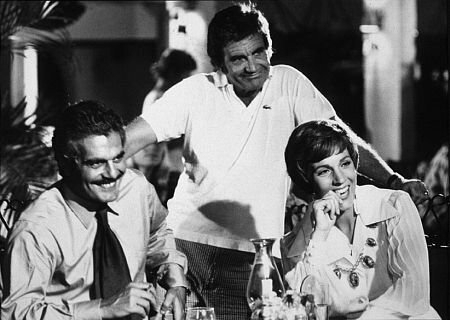 Moving on from Walton, Andrews described her time with the love of her life, Blake Edwards. Andrews shared a range of very personal photos of she and Edwards, speaking with such affection of the wonderful 41 years they shared together. A funny anecdote concerned Edwards’ direction of her in bedroom scenes, where he had the tendency to yell cut and tell her he knew she could do it better! Andrews later described with awe Edwards’ vision as a director, using the opening song from Darling Lili, which was shot in one continuous take, as an example. Act two saw a shift in tone, as Andrews was joined by Hammond for a Q&A session. Sitting on lounge chairs, Hammond presented Andrews with audience questions, which added a fun, informal air. Candid stories included Rex Harrison’s tendency to pass wind on stage (you don’t think the queen of clean would actually say “fart” do you?) The pair shared tales of behind the scenes shenanigans from the filming of The Sound of Music, illustrated with some of home movies shot by Hammond’s mother. 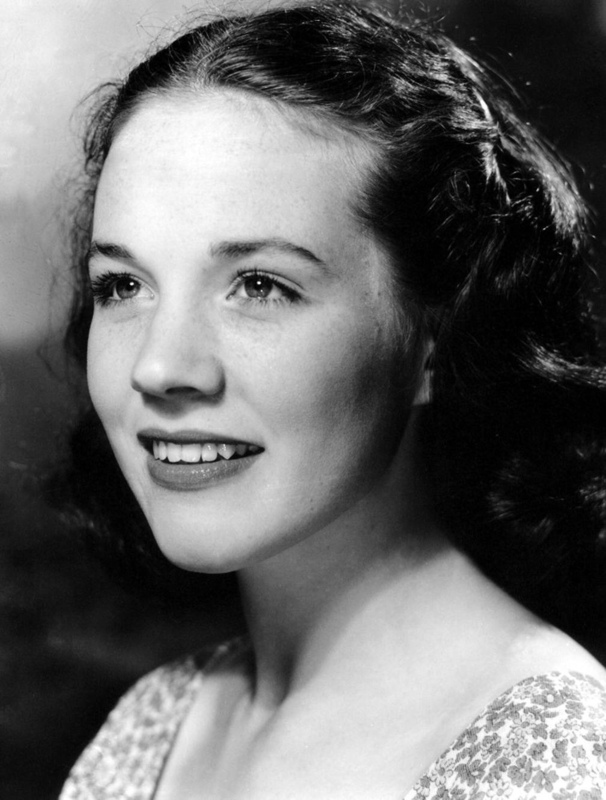 The audience departed blissful, having not only spent an evening with the legendary Julie Andrews, but having sung a rousing chorus of “Edelweiss” with her. 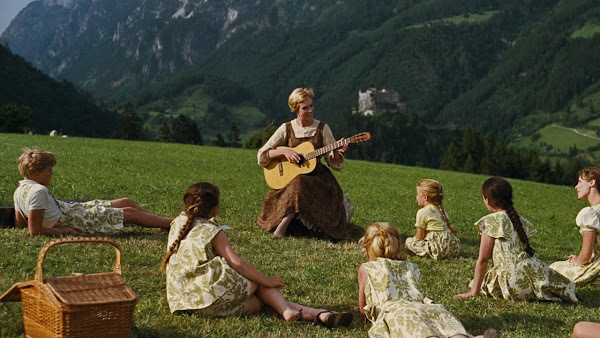 Now that is true Sing-A-Long Sound of Music.